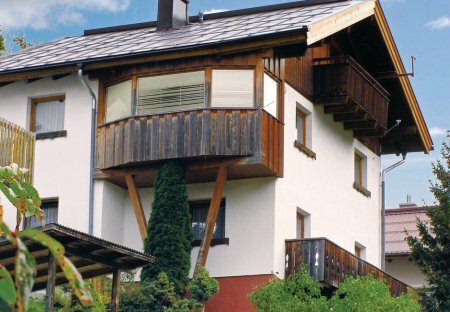 Rent apartments and chalets in Kappl, Austria. This charming house is centrally located in a quiet place in the village Kappl in Paznauntal. It features a fireplace and 6 bedrooms. A spacious, rustic and comfortably furnished apartment situated on 2 floors can be found in this quiet house, which is beautifully situated on a slope. Two comfortably furnished apartments with balcony are located on the first floor here in Kappl in a place called Paznauntal. These two comfortably furnished apartments are located on the first floor in Kappl, which is wonderfully located in the Paznaun Valley. The apartment boasts two bedrooms, a bathroom. These newly decorated holiday apartments with balcony and a superb view of the valley is located on the outskirts of Kappl near the cable car station (operates in summer). These three holiday apartments (ATI641-643) are found in a beautiful building between the villages of See and Kappl amongst perfect nature. From the house you have a wonderful view over the valley. This holiday apartment is located on a hill in a village called Kappl. This apartment is spacious and has comfortable furnishings. This idyllic village called Kappl is located in centre of an imposing mountainous region and is a delight for mountain and nature lovers. Enjoy genuine hospitality. This is a bright and cosy furnished apartment with a spectacular view, situated far away from mass tourism and noise. (See also ATI504). In summer the leisure card is included in the fare. 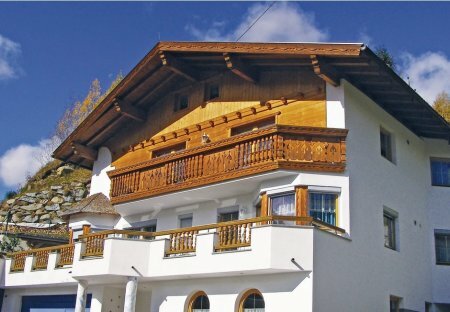 This is a very cosy Tyrolean style apartment in a quiet location in the centre of Kappl. This comfortable holiday home is located between the town of Kappl and the lake in Paznauntal. The bedrooms are well furnished and also have an additional sink. This home stands on a single. This apartment is homely, well-lit and graciously furnished having a balcony and located away from mass tourism, in a quiet location. It is close to Landeck and Ischgl. (See also ATI503). The house Anna is situated in a quiet, sunny hillside near the valley road, just 3 km from Kappl and 5 km from Ischgl. The spacious partition of the rooms will delight you.